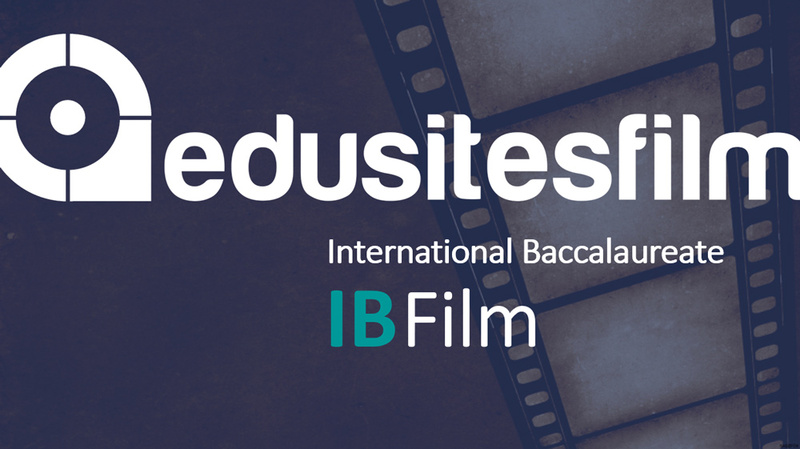 Copyright © 2019 Edusites. All rights reserved. Permission granted to reproduce for educational use within the subscribing school only. Copying or lending of any part of this document in any form or by any means to external bodies and / or individuals is prohibited. 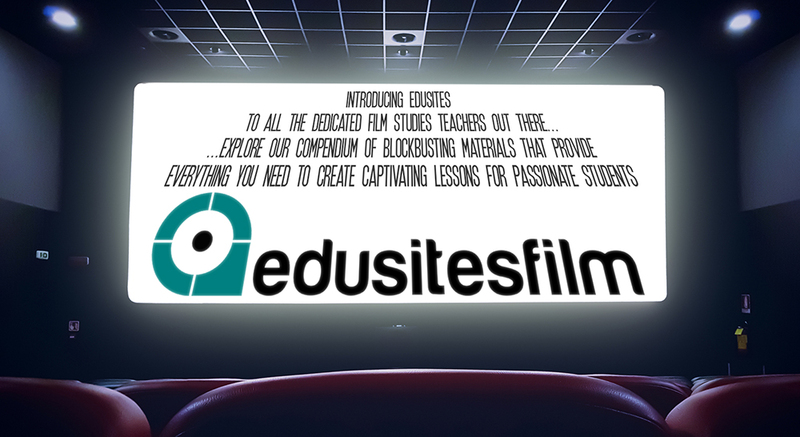 Copyright © 2018 Edusites. All rights reserved. Permission granted to reproduce for educational use within the subscribing school only. Copying or lending of any part of this document in any form or by any means to external bodies and / or individuals is prohibited. 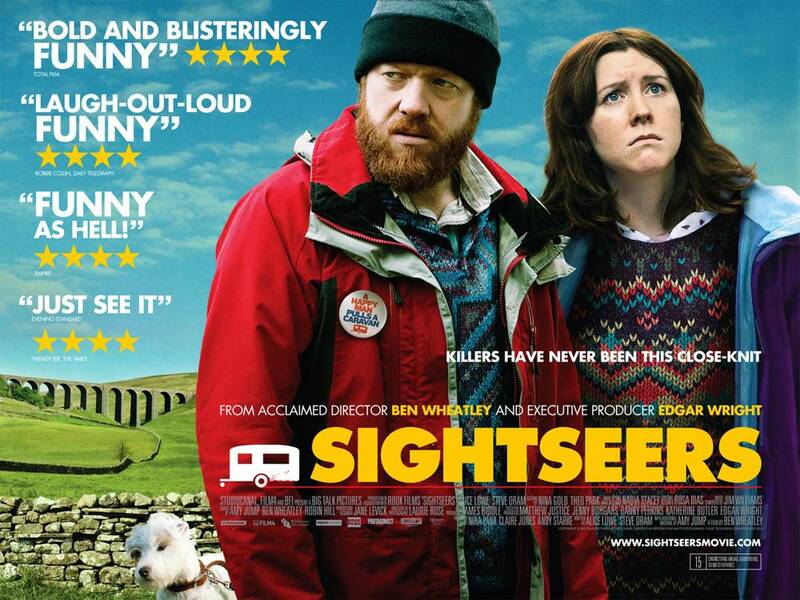 This resource will be studying the seven frameworks for analysis in film studies. So what do we need to do for students and teachers to perform brilliantly? 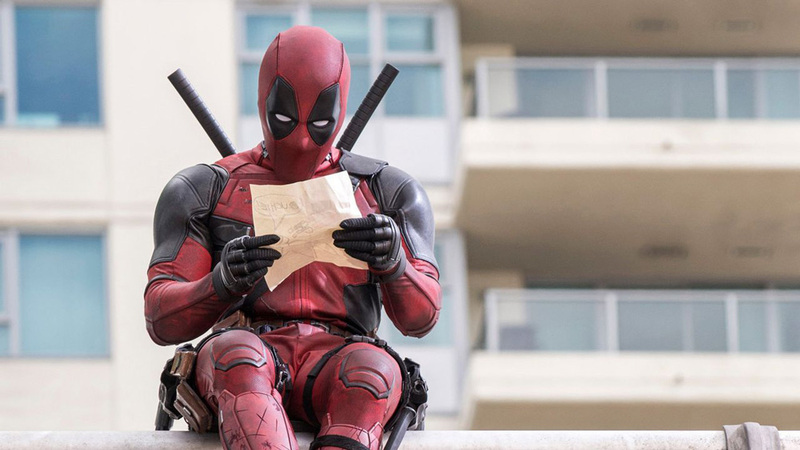 Our resources are a guide to producing critically autonomous students who gain a wide range of skills in the study of film and truly make the transition from film fan to film student. 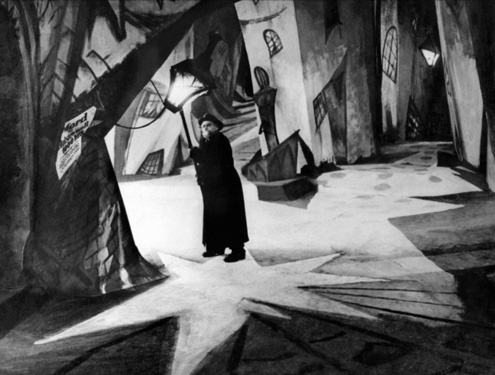 Examine film as an art form, studying a broad range of film texts from a variety of cultural contexts and analysing how film elements combine to create meaning. The Edusites programme of study for A Level Film has been designed to provide a Core Unit for each term to help students develop the right level of knowledge and understanding of the key critical approaches and all the framework concepts of narrative, genre, representations, and spectatorship. 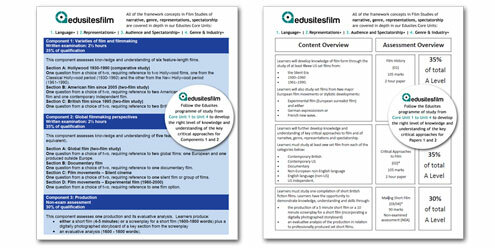 Our NEA Support Materials will focus on Making a Short Film for OCR NEA and Production for Eduqas NEA. 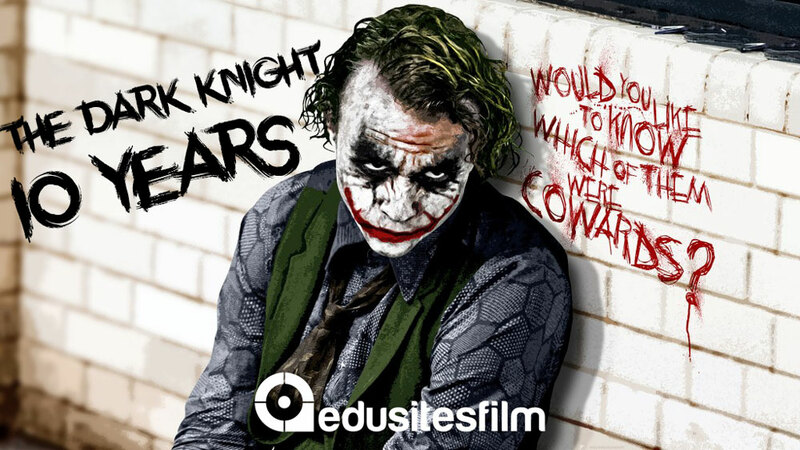 Would you like to see an example of an A Level Film Lesson from Edusites Film? Below is a link to a single lesson online slide show focusing on Cinematography using The Bourne Identity. 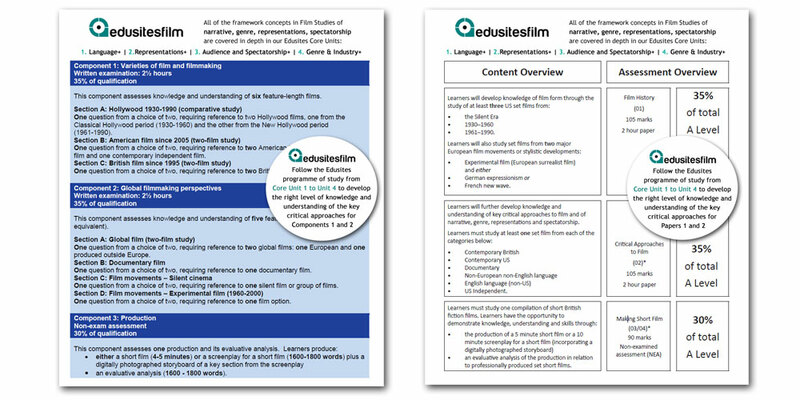 The Cinematography lesson from both the teacher guide (scheme of learning) and student workbook are below to illustrate the breadth and depth of the resources being published on Edusites Film.